Adventures by Disney | Dis Is How We Do It! If you’re looking for a different type of vacation adventure you need to watch this video and get in touch with me to plan your adventure. Posted in Adventures by Disney and tagged Adventures by Disney, Disney, Travel, Vacation. Bookmark the permalink. Take a peek at this and call me to set your vacation plans in motion. Posted in Adventures by Disney and tagged Destinations by Disney, Disney, Travel, travel agent, Vacation. Bookmark the permalink. Ever want to take a trip on the Amazon? 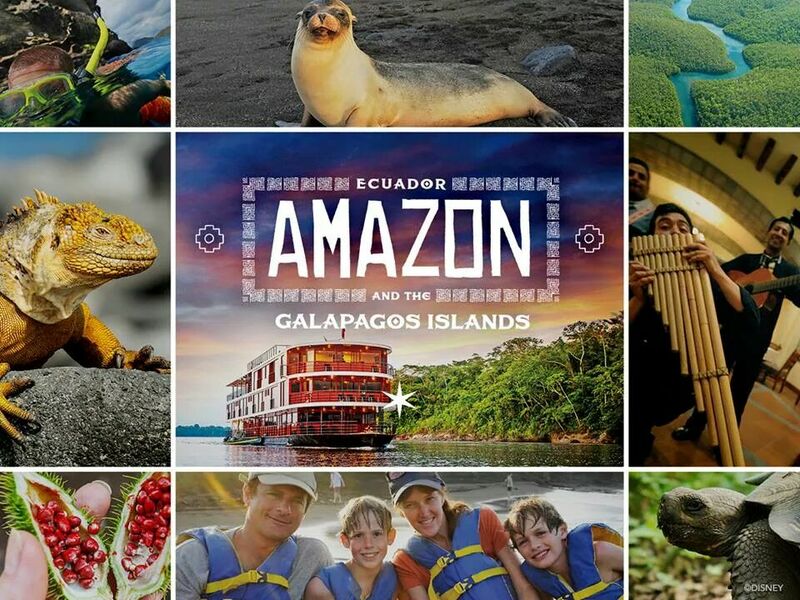 If you’ve ever wanted to take a trip along the Amazon river including stops in Ecuador and the Galapagos Islands, here’s your opportunity. Adventures by Disney has put together an amazing itinerary to help you do it. Ask me for details. Posted in Adventures by Disney, Disney and tagged Adventures by Disney, Amazon, Disney, Ecuador, Galapagos Islands, Travel, Vacation. Bookmark the permalink.